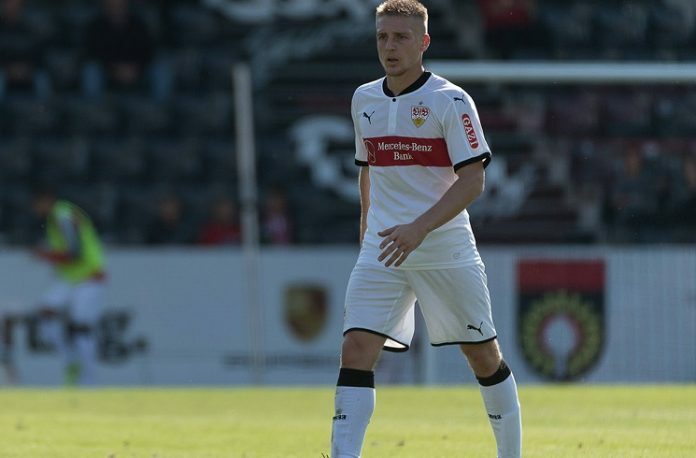 Santiago Ascacibar playing for Stuttgart. Argentina National Team coach Jorge SAMPAOLI is reportedly following Santiago ASCACIBAR. With Lucas BIGLIA being injured and out for overa month, Argentina coach Jorge SAMPAOLI is apparently following the progression of Stuttgart midfielder Santaigo ASCACIBAR. Per journalist Esteban EDUL, SAMPAOLI is monitoring the status of the German based player. With the number of injuries slowly climbing for Argentine players, it’s good to see that the Argentina coach is keeping an eye out on some players. Higuain OUT and Di Marie not a first choice. Ascacibar battaglia both should be selected with Enzo parades and mascherano…we need highly energetic young player and mixture with experience of Messi mascherano Enzo Di Maria Romero Gary otamendi…this chemistry surely spark for Argentina and globally we are all Argentina fan hoping that Argentina able to won the WC..
Ascacibar has already been identified as the most talented players in Latin,way before he made his move, by so many sources. He should ‘ve been integrated by now. I guess the legacy of producing ‘5 is persisting well. Till recently, only Mascherano and Biglia were considered. Recently Mascherano became poor and Biglia injured. Sampaoli now forced to search for another option. a very good Player. too young. can not help us at this world cup. but i think we will have a decent team in 2022. There is nothing like he can’t play at this world cup. He is already playing on one of the best leagues in the Europe as a STARTER. His performance in Bundesliga has been great and he is one of the top #5 of the season so far. It may be too soon in his case, but so were Lo Celso who performed satisfactorily so far. Germany in 2010 WC came with young guns and were so close to winning the world cup. Young and hard working players under a good coach who knows a thing or two about tactics are a good combination. The experienced players may not put enough commitment that Sampa seeks. Sampa’s teams have to be ultra hard working – we saw it with Chile and Sevilla. If this is true then it would be great news. I, like most of you, thought that Ascacibar was too young for the big stage but when I started watching Stuttgard I came to the realization that ‘el russo’ is the real deal and a potential world class player, not in a few years time but rather RIGHT NOW!! He has it all, strength, grit, boundless energy, defensive skills for miles and a great reading of the game. 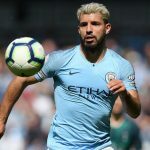 But that’s not all, he’s got some offensive skill to boot, he makes some excellent pin point forward passes (both ground and aerial) and he doesn’t just do ’em for the sake of it, he actually chooses his passes carefully indicating that he has a high footballing IQ. I know I’m making him sound like Redondo but the kid is legit and for those of you who are worried about his age, you shouldn’t because at 20 he’s already a starter in one of the most improved teams in the Bundesliga where he plays against stronger teams week in and out and almost always shows up whether be it against Broussia or Bayern or a relegation team. When he started he was getting carded almost every game but now hardly! All indicating how quickly he’s maturing and what a quick study he is. Needless to say he’s possibly the best 5 Argentina has right now and taking him to the WC would very unlikely be a mistake. Exactly mamoun. I share the exact same thoughts as you. Kante is currently my favourite defensive midfielder but this guy is definitely not far off. Just a matter of time before he gets snapped up by bigger teams. momram: hello brother and my best wishes to you as always, nice write up as I know you always deliver. G’day pablo, haven’t seen you around here much, Dunners must be keeping you busy and no doubt the cold is starting to creep in. Luck is already playing a part in our WC hopes and it looks like favouring us this time. I feel bad that Biglia got hurt. He is a good guy. But come on! He hasnt departed this world for us to mourn nor is his club career over. Injury is the only chance to force Sampaoli’s hands. The base of the midfield is an obvious weakness for us. Let’s hope we improve there. This is great news for us all. This guy is similarly built (weight and height) as Kante and has the tenacity,stamina and physical attributes as him. Surely he’s going to be a nuisance for the opponent’s attacking midfielders. His pace and tackling abilities would place him way above our other defensive midfielders. Hope he starts if he can integrate well in our midfield. 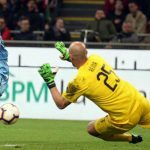 while im very pleased to see Ascacibar name mentioned this seems its only because of an injury he maybe in the frame, it seems to me samp has left far to much far to late and if the word is true samp has already decided on many of the team long ago-i hope not as the net should and must be cast far and wide. i do realise time has not been samps friend coming into the n/t so late in proceedings but im surprised that we keep seeing to many of the old guard being almost handed their shirts once again as some are very obviously past their best days in the shirt. Ascacibar have something to offer, combative and energetic although his rough tackles can cause troubles. 2 out of 3 will be selected between Mascherano, Kranevitter and Ascacibar. Sampaoli need to trust the young guns and guide them. I don’t know this guy, but he seems very fit and his athleticism is what we need in the team. Young means less prone to injuries, agile, fast and can be reliable down the road. Let’s go Ascacibar ! If true this is great news! Don’t forget Masche was a young lad for the 2006 WC. The difference is, masche already had a lot of games under his belt during the qualifications. We have to remember that much of the issues of our DMs are results of some players playing out of positions. Too offensive, but if sampa could force Di maria to defend like sabella did. I think we could be okay. What is your plan after 20 min from game start? Considering Di Maria will get injured after 20 min on pitch. problem will be the right side not left side that is the side needs protection as bustos or mercado can struggle and otamendi also lacks discipline sometimes. Messi has the final say of selecting the entire squad. Though he doesn’t hear me but I’m saying with very loud voice DO NOT MISUSE THE POWER by selecting flop and finished players. 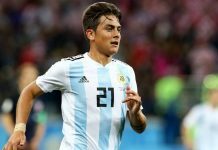 If his selection goes right then Argentina has a big chance to have a great WC and this will be Argentina’s tournment. A strong and powerful coach like Sabella can build a very strong team. What I don’t understand about Messi selecting “friends club” is that why would Messi select Higuain in his team? Messi has played with some of the best strikers at Barcelona. Surely he knows Higuain is a choker. A world cup medal is what is standing between Messi and all time greatest title. Why would he want Higuain again to jeopardize his legacy in NT? Then again Sampaoli’s comments create confusion as well. Something seems wrong but I don’t understand what is. It’s all media creates story which people like you swallow. Sampaoli is too proud and experienced to be a puppet of anyone, incl Messi. Messi may have an important say on team selection, but that doesn’t mean he “selects” the team. That’s the privilege Sampa has given to him. As we can see, the two get along very well. Messi, off all, wants this cup more than anyone else. If he really cared about friends than winning, we would have seen many of his “friends” at Barca where he does enjoy even more power. The media are trying to make us believe that these players are not his professional friends whom he meet only at the NT, but his friends since childhood. In truth, Messi doesn’t have a strong friendship with anyone incl Aguero. I’ve seen Messi & family meeting Cesc at London once in a while when he gets free time, now that’s friendship. But I have never seen him meeting Aguero in such fashion. Messi wants a team that can compete well and complement him which is exactly Sampa also wants. A team’s fate is completely in the hands of the coach as Barca fans have realised in the match against Roma. Valverde’s conservative approach cost them a semi berth and probably a CL. Its learnt that Messi & a few other players were not happy with the coach’s strategy for Roma game. A better preparation and a bit more attacking intent in the Copa final against Sevilla have made all of us wonder what if..
What we need from Argentina is exactly the same. A better preparation and a bit more attacking intent. I don’t like that Aguero and Biglia got injured. I hate injuries and hope that every team has all their players ready. If you want to be the best you have to beat the best. I don’t like Biglia one bit but Sampaoli will take him regardless and it would be better if he did not get injured so he would be at least fit. We are now faced with the same situation as in 2014, injured players everywhere and we will probably take them all with us. Aguero, Biglia, Funes Mori, Rojo, Salvio, even Romero is injured and doesn’t even play the cup games. I can’t believe we are considering and will take these injured players especially funes mori and Biglia but let’s wait and see. There is nothing we can do but support the team and hope for the best even if our decision makers call up their grandmothers to play. Ascacibar, Paredes, Lanzini, Lo celso, Pezzella, Tagliafico, Lamela, Ocampos, Martinez, Bustos, Rulli, Mamanna, Dybala, Icardi, etc…should be immediately be the team after the World cup. 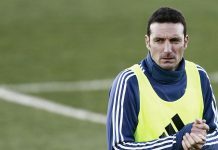 anuparno: we have to face the not so pleasant fact that biglia is one of samps “starters” if alive and samp will not be at all the 1st coach to take an injured or recovering players to a w.c if he believes he can play some part some where. It is what we do all the time. Some things never change with us. come germany come spain break u apart. 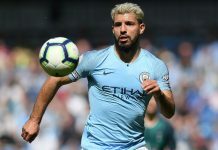 Mundo Albiceleste seems to be producing some FAKE news just like goal.com or dailymail.com. Too many player for Sampoali too look, probably million players by now. Biglia is surely out injured for 1 and half month is a big blow surely sampaoli will not take him.plus match fitness will not be there even if he is fit for knockouts.sampa can’t take that risk.ascacibar is young so what?? Pele was just 18 when he won 1st world cup.goetze also was inexperienced and score the winning goal in final in that crucial game. This is great news if true. Slow but steadily sampaoli has injected young blood in this team . Most of the names we heard in Mundo are getting in – lo celso, lanzini, meza, bustos, tagliafico, Martinez , parades, pavon,acorrea,mammana & now hopefully ascacibar. It will be fantastic to cheer for a young Argentine team in coming days. Even dybala & icardi had chances. Thanks to higuain’s mind & aguero’s body – icardi may get one more chance. mammana is out for 8-9 months won’t be available. Young and risky, but attacking and hard working. Lanzini and Meza will have to cover a lot of ground to help the defense to make it 4-4-2 while not in possession. Unfortunately, I know that such a team wouldn’t be selected now. I feel this WC came a year early for us. I got my authentic home ARGENTINA kit today and it looks great with the #10 front and back and MESSI of course. The only difference between mine and Messi’s is that mine is M size and his is probably XS LOL. Ascacibar is not only great at destroying defense, but also great at turning defense to attack in a second which players like Bigilia lack. I would take him over Bigilia any day. The only doubt I had was his relative young age and inexperience. If he can show enough composure and maturity, he would be a great option for Sampa. I’m pretty sure that he would be our no.5 at 2022 if not this year as long as he continue the current progress. He is a real DM even if still young. A bit of a gamble but can he really be so much worse than Biglia? I doubt about it. Deserves for spot one of Biglia/Mascherano. He has improved a lot recently. Just 3 yellow in his last 10 games. More importantly just 1 yellow in his last 6 matches..! That’s because he is great at tackling and he takes risks and it comes off well most of the time. With age, he is gonna come great. Ascacibar should be picked ahead of Biglia and Mascherano..! Happy to hear this. He undoubtedly deserves to wear the white and sky blue.